​the addictive behaviors of loved ones. 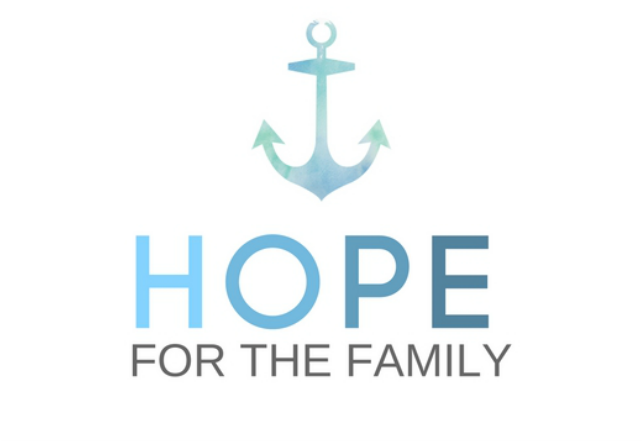 HOPE FOR THE FAMILY is a fellowship of people whose lives have been affected by friends or family members use of mind altering substances or related behavior problems. Any concerned person is encouraged to attend our meetings – even if there is only a suspicion of a problem. Many recovery programs are available for our addicted loved ones, when they are ready to seek help and recover. HOPE FOR THE FAMILY is for us the parent(s), spouse, brother, sister, relative, or friend. It is not a program to help you fix your loved one, rather provides the tools to allow you to focus on dealing with these challenges in a Christ-Centered way. Everyone is different – whether you want to listen or share your experiences is up to you. It is recommended that you attend at least six meetings since we have various formats and cover different topics before determining if this group is for you. By attending meetings, studying the materials, and talking to other members, we begin to think differently over time and reactions begin to change. These changes will help us bring peace to our homes and create an atmosphere of recovery. Our authority in HOPE FOR THE FAMILY rests in the Word of God, and is Christ-Centered. We are not social workers, psychologists, or other professional counselors. We are caring individuals who have experienced the same despair and hopelessness, and only through the twelve steps and trusting in the teaching of Jesus have we come to experience a better way. We use first names only in order to protect the privacy of everyone. ​Our program is open to all, regardless of belief or lack of belief, we welcome everyone equally. We will base our meetings and recommended home study from the Families Anonymous 12 Steps as well the Recovery Bible. These tools will give us a roadmap and set of tools to work on ourselves. We have found that working on ourselves and building a relationship with our Father in Heaven is the single most important thing we can do to help those we care about. Through this process many find that they learn a better way to live. The best thing you can do for yourself and your family is to keep coming back.